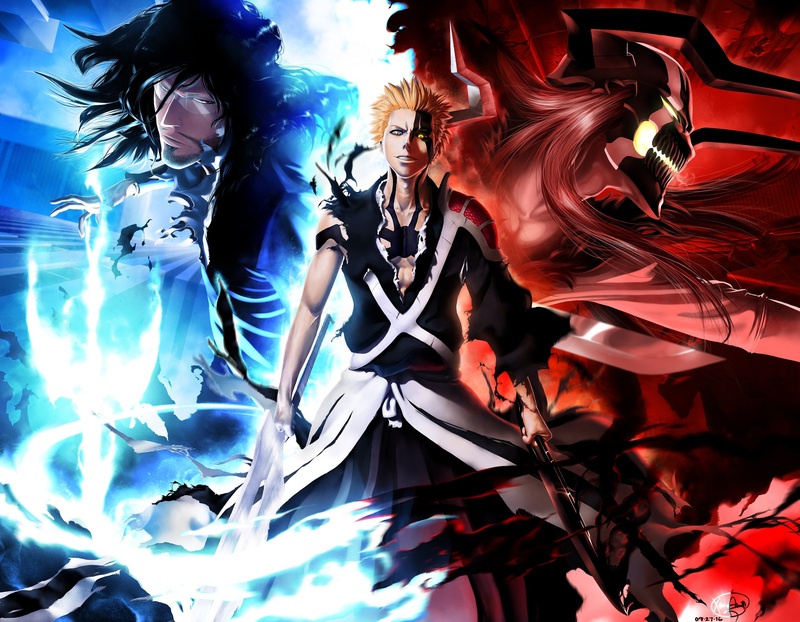 Ichigo Kurosaki, known as the Substitute Shinigami has taken upon himself to help and save everything he thinks needs the aid. 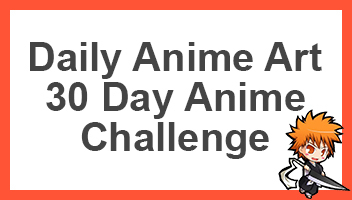 From helping Rukia to Orihime, and the Soul Society against Aizen and Yhwach. Every point in time saw a multitude number of people who helped Ichigo, the one we know most of are Zangetsu and Hollow Ichigo, other rather wretched and divine. This image was drawn by Maithagor who has a number of fantastic artwork based on different types of anime, but mostly they have ones from Bleach are look absolutely amazing. If you like his work, be sure to go ahead and check them out. Otherwise be sure to share this with other fans of Ichigo and Bleach. I almost wish I could write Bleach near the ending. By that i mean I wish Kubo wasn’t rushed so he could flush out all the ideas he wanted to put in Bleach. No 1000 year flashback, no more information on the Soul King, all other Bankai being revealed, what happened 200 years ago during the Quincy Massacre, see any of the Fullbringers and Visored fight, have Uryu vs Jugram release their Vollständig, have Ryuken help Uryu against Jugram and Isshin be part of Ichigo and Orihime’s batte against Yhwach, have the Divine Generals part of the final battle, and this is just a nitpick, but not kill off so many Sternritter. Especially at the beginning of the war. I honestly would have loved to seen Berenice Gabrielli in battle. Her Schrift The Question sounds very powerful and op. Hell, she could have been promoted to the Elite Guard like Askin was and she could have fought more opponents. This is just something I wished happened in the final arc of Bleach. I think there will be a book for all the information that wasn’t covered, but im not even sure if this is true or rumours. I would have loved to get a longer series, but then again it was Kubo’s wish for it to end the way it did.I’m glad that it ended but unhappy at that fact. I recently started a new job, 8:30 to 5, so haven’t had much time to write anything decent 😦 but yeh, what you’ve mentioned about her Schrift, and all the other things that were covered, would have loved to see it all but seems like it would have dragged out the series from Kubo’s pov. Well congrats on the new job! 😉 my main issue with Bleach’s ending is that is was rushed way too much. So much so that I’ll bet when I finally buy the final volume that it won’t even feel like a true volume when I read. Because every freaking chapter has something that should have been shown in multiple chapters.